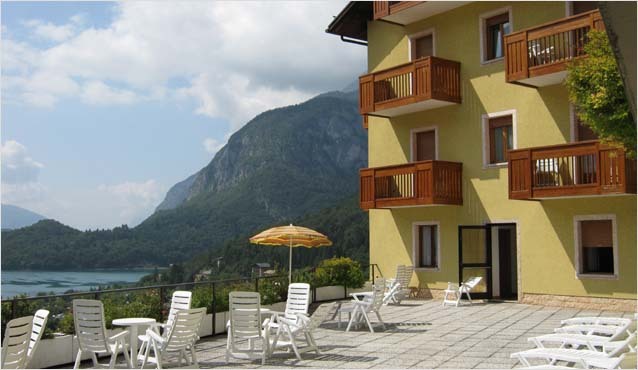 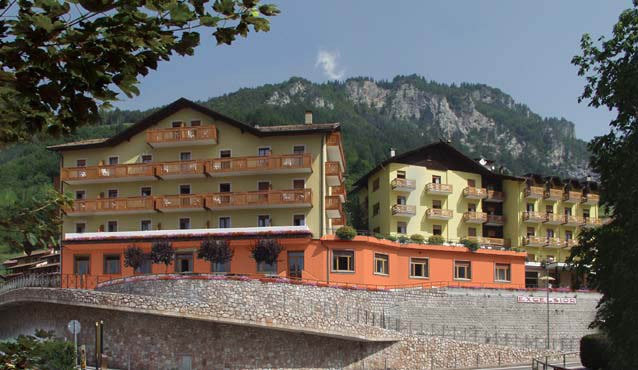 Situated just a few minutes FROM the centre of the village of Molveno ( height 864 meters), the hotel has a beautiful view over the lake and, on the other side, over the Dolomiti di Brenta mountains. 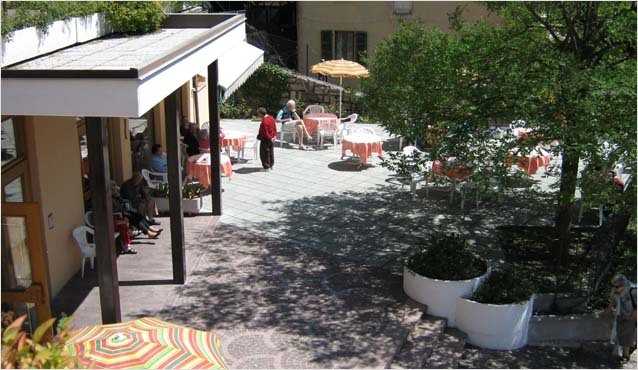 Open during the summer season. 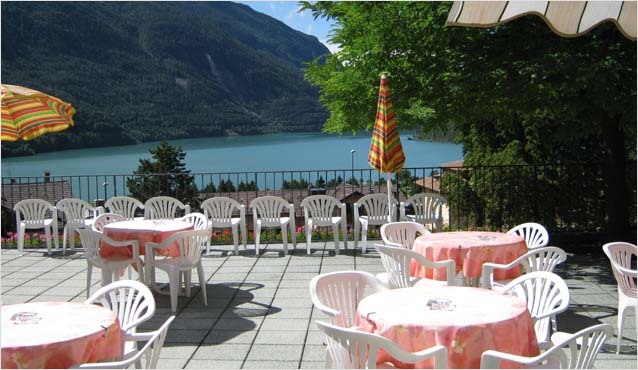 On the outside a wide car park and a lovely garden plus the solarium terrace which looks directly over the lake will guarantee you a brilliant stay.